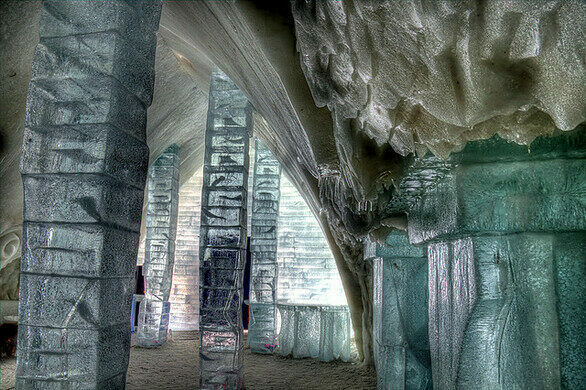 Comprised of 15,000 tons of snow and 500,000 tons of ice, the Hôtel de Glace is a massive undertaking, yet each spring it completely disappears. 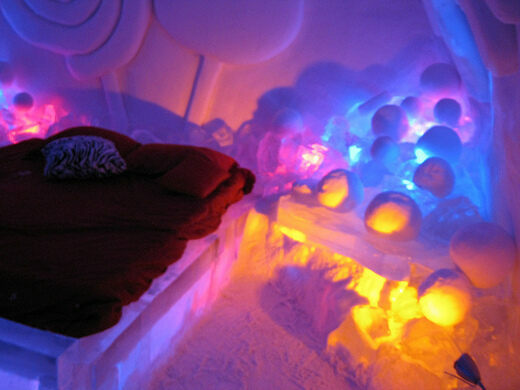 With only a four-month lifespan, the Ice Hotel takes a month and a half and 60 full-time workers to finish its rooms, but the result is a spectacular blend of chilly, natural architecture and ambient pastel light. Altogether, the hotel features 85 bedrooms along with a club, art gallery, and even a chapel that usually hosts a handful of weddings. 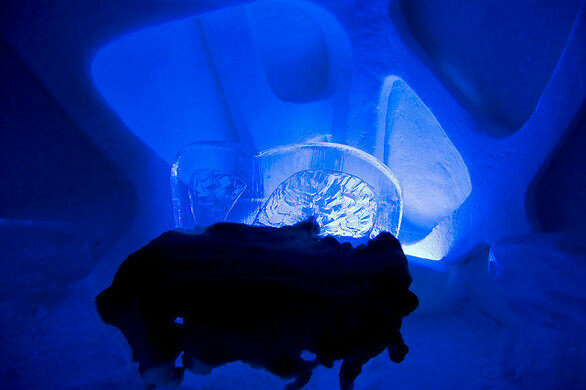 Every inch of the hotel is created out of ice, including the furniture. 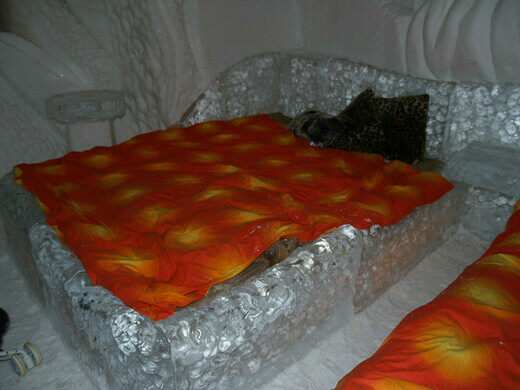 To make the rooms more livable, beds are covered with furs, blankets and sleeping bags tested to arctic temperatures. The only areas of the hotel that are heated are a few outdoor bathrooms, along with a few outdoor hot tubs to add to the experience. 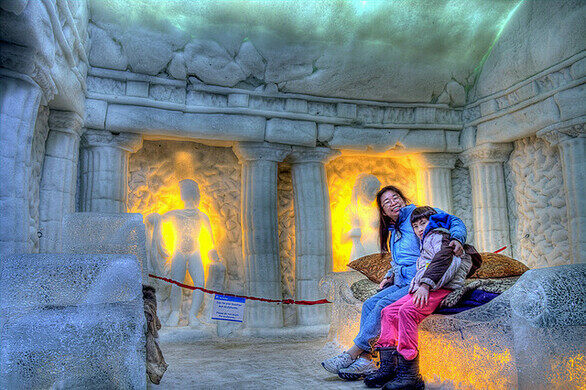 Considered an example of a pure ice structure, the hotel is not supported by anything except the icy walls, which can be as thick as four feet to insulate the hotel. 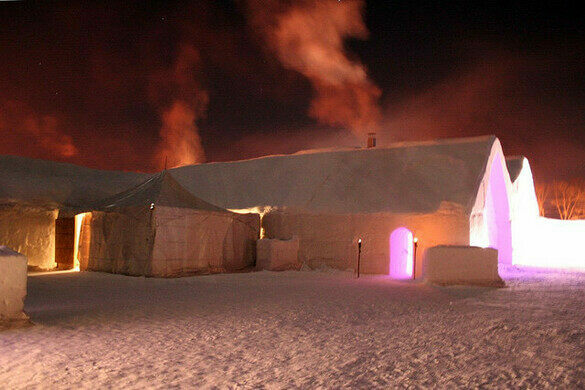 Although you might not get four-star service, the Hôtel de Glace is certainly a unique experience as it changes in layout and complexity every year. 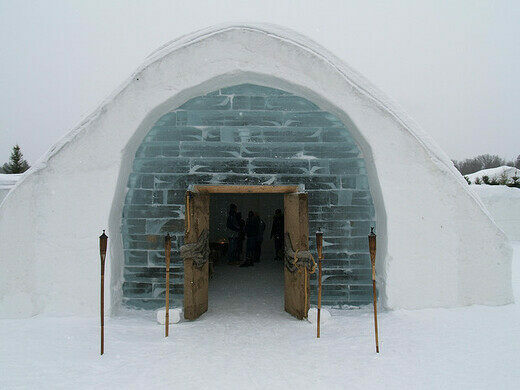 Update: Starting in the 2016-2017 season, the Hôtel de Glace moved to its new location at the Village Vacances Valcartier Resort.